Qatar is one of the world’s richest countries and is home to the world’s third-largest proven natural gas reserve. The small Arabian peninsula has the highest per capita income in the world, according to the International Monetary Fund (IMF). 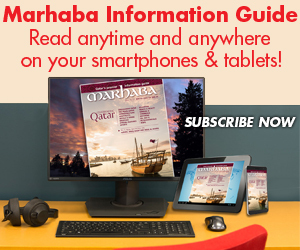 Besides its wealth, Qatar is home to Al Jazeera Network and is an influential player in the Arab world. Qatar is also preparing to host the 2022 FIFA World Cup™, and will be the first Arab country in the world to host the event. Born on 3 June 1980, HH Sheikh Tamim bin Hamad Al Thani is the Emir of Qatar and the fourth son of The Father Emir, HH Sheikh Hamad bin Khalifa Al Thani. He was appointed as Qatar’s Heir Apparent on 5 August 2003 when his elder brother Sheikh Jasim renounced his claim to the title. He became Emir of Qatar on 25 June 2013. HH The Emir received his education at Great Britain’s Sherborne School (International College) in 1997. He then attended the Royal Military Academy Sandhurst, graduating in 1998. In 2005, Sheikh Tamim founded Qatar Sport Investments, which owns Paris Saint-Germain FC among other investments. In 2006, he chaired the organising committee of the 15th Asian Games in Doha. Under his leadership, Qatar won the rights to host the 2014 FINA Swimming World Championships. Sheikh Tamim is a member of the International Olympic Committee and the National Olympic Committee chairman. He headed Doha’s bid for the 2020 Olympics. Sheikh Tamim heads the Qatar Investment Authority board of directors. Under his leadership, the fund has invested billions in British businesses. It owns large stakes in Barclays Bank, Sainsbury’s, and Harrods. The fund also owns a share of Europe’s tallest building, The Shard. Born in 1952, HH Sheikh Hamad bin Khalifa Al Thani is a member of the ruling Al Thani Qatari royal family. He was the Emir of Qatar from 1995 to 2013. HH Sheikh Hamad seized power in a bloodless palace coup d’état in 1995. During his 18-year rule, Qatar’s natural gas production reached 77 million tonnes, making Qatar the richest country in the world per capita with the average income in the country US$86,440 a year per person. During his reign several sports and diplomatic events took place in Qatar, including 2006 Asian Games, 2012 UN Climate Change Conference, Doha Agreement, Hamas–Fatah Doha agreement, and the 2022 FIFA World Cup™. He established the Qatar Investment Authority; by 2013 it had invested over US$100 billion around the world, most prominently in The Shard, Barclays Bank, Heathrow Airport, Harrods, Paris Saint-Germain FC, Volkswagen, Siemens and Royal Dutch Shell. In June 2013, Sheikh Hamad handed power to his then 33-year-old son, Sheikh Tamim Al Thani. Born 8 August 1959, HH Sheikha Moza bint Nasser is the wife of the Father Emir, HH Sheikh Hamad bin Khalifa Al Thani, and the mother of The Emir, HH Sheikh Tamim bin Hamad Al Thani. Daughter of Nasser bin Abdullah Al Missned, Sheikha Moza is the second of the three wives of Sheikh Hamad bin Khalifa Al Thani. She serves as Chairperson of Qatar Foundation for Education, Science and Community Development (QF), a private non-profit organisation founded in 1995. Its flagship project is Education City, which covers over 14 million square metres and houses branch campuses of renowned international universities and institutions. QF is also engaged in numerous scientific research and economic and social development projects. In addition to her work at QF, Sheikha Moza served as the Vice Chair of the Supreme Council of Health from 2009-2014 and as the Vice Chair of the Supreme Education Council from 2006-2012. More recently, she chairs the Sidra Medicine, a new training and research hospital that is envisaged to become a leading institution for women and children’s speciality care. Sheikha Moza is the driving force behind Education City and Al Jazeera Children’s Channel. On a regional and international level, Sheikha Moza has launched multiple projects including the International Fund for Higher Education in Iraq, the Silatech initiative to address the growing challenge of youth employment in the Middle East and North Africa, and Education Above All (EAA), a global initiative that aims to bring new life chances and real hope and opportunities to poor and marginalised children, youth and women in the developing world. EAA is carrying out its objectives through a number of existing programmes such as Educate a Child (EAC), Protecting Education in Insecurity and Conflict (PEIC) and Al-Fakhoora. Sheikha Moza plays an active role with the United Nations (UN) to support global education. In 2003, she was appointed UNESCO’s Special Envoy for Basic and Higher Education; in 2008 she was appointed by the Secretary General of the UN as Alliance of Civilizations (AOC) Ambassador; and in 2010 she became a member of the UN Millennium Development Goals Advocacy Group with a special emphasis on Goal 2 – universal primary education. In 2012, she was appointed as a Steering Committee Member of the UN Secretary-General’s Global Education First Initiative. As a high-profile figure in Qatar’s politics and society and within the region, Sheikha Moza has been named as one of Forbes’ 100 Most Powerful Women at #75. Sheikha Al Mayassa is the sister of The Emir, HH Sheikh Tamim bin Hamad Al Thani and the 14th child in the Qatar royal family. She chairs Qatar Museums (QM), which manages the country’s art collection and museum landscape. Sheikha Al Mayassa holds a degree in arts and political science from Duke University and is fluent in Arabic, French and English. As the chair of QM, she has overseen the recent purchase of works by Damien Hirst, Andy Warhol and Mark Rothko, as well as a record-setting US$250 million for Cezanne’s ‘The Card Players’. The organisation’s annual acquisitions budget has been estimated at US$1 billion. 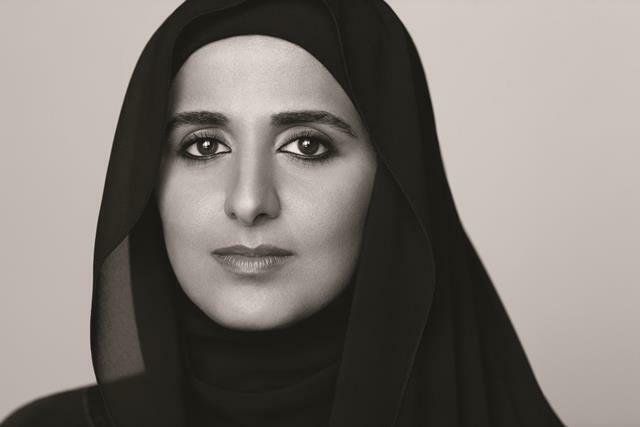 Sheikha Al Mayassa is also Chairperson of the Doha Film Institute (DFI) which partnered with the Tribeca Film Festival to produce several annual iterations of the Doha Tribeca Film Festival. In February 2013, they announced a US$100 million feature film fund with Participant Media, a production company founded by billionaire Jeffrey Skoll, who was the first employee and also first president of internet auction firm eBay. Time, Forbes and Arabian Business have named her one of the 100 most powerful and influential women in the art world. HE Sheikha Hind bint Hamad Al Thani is the sister of HH The Emir Sheikh Tamim and the third child of HH The Father Emir Sheikh Hamad and HH Sheikha Mozah. She is Vice Chairman of the Qatar Foundation for Education, Science and Community Development, and Chair of CNA-Q’s Joint Oversight Board. In March 2014, Sheikha Hind launched Qatar’s first non-governmental organisation for education, ‘Teach For Qatar’ (TFQ). Sheikha Hind, who also graduated from Duke University in Durham North Carolina, has been increasingly gaining international attention as well. When her father, The Father Emir Sheikh Hamad, was the Emir of Qatar, Sheikha Hind was the Director of the Emir’s Office and Chief of Staff but has become a key advisor to her father, helping shape policy, as well as representing Qatar at numerous conferences and official visits abroad. Born in 1978, Sheikh Jassim bin Hamad Al Thani is the brother of the Emir, HH Sheikh Tamim and former heir apparent of Qatar. He is the third son of the Father Emir, HH Sheikh Hamad bin Khalifa Al Thani. He was appointed heir apparent of Qatar on 23 October 1996, replacing Mishaal bin Hamad Al Thani, his older half-brother. Sheikh Jassim renounced his rights in favour of his younger brother The Emir, HH Sheikh Tamim on 5 August 2003. Sheikh Jassim was the personal representative of the Father Emir, HH Sheikh Hamad, and now he is the personal representative of The Emir, HH Sheikh Tamim. He is the Vice-Chairman of the Board of Directors of Supreme Committee for Delivery and Legacy (SC). He is also honourary president of the Qatar National Cancer Society (QNCS) since 1997. Furthermore, Sheikh Jassim has been Chair of the High Committee for Coordination and Follow Up since 1999, and Chair of the Supreme Council For The Environment And Natural Resources since 2000. He is also patron of Aspire Academy since 2003. The Sheikh Jassim Cup and Sheikh Jassim bin Hamad Stadium are named after him. Sheikh Joaan bin Hamad bin Khalifa Al Thani is the brother of the Emir, HH Sheikh Tamim bin Hamad Al Thani and fifth son of the Father Emir, HH Sheikh Hamad. In May 2015, he was appointed president of the Qatar Olympic Committee (QOC). He also served as president of the Organising Committee of the 24th Men’s Handball World Championship Qatar 2015. He was the Torch relay ambassador on the 2006 Asian Games in Doha. HE Sheikh Mohammed bin Hamad Al Thani is the brother of the Emir, HH Sheikh Tamim and the sixth son of the Father Emir, HH Sheikh Hamad. He is the chairman of the committee that presented Qatar’s winning bid to host the 2022 FIFA World Cup™. He graduated from Georgetown University School of Foreign Service in Qatar where he obtained a BA degree in May 2009. In 2013, he graduated from Harvard University with an MBA. He is fluent in French, English and Arabic. Sheikh Mohammed is a former captain of the Qatar equestrian team, and as such, had the honour to light the cauldron of the Doha 2006 Asian Games on horseback. Born in 1959, HE Sheikh Abdullah bin Nasser bin Khalifa Al Thani is Qatar’s Prime Minister and the Minister of the Ministry of Interior. He served as an advisor to HH The Father Emir, Sheikh Hamad and often represented him at ceremonial events and receptions. Sheikh Abdullah held many senior military posts up to 1989 when he was appointed assistant Commander-in-Chief of the armed forces, in the rank of Lieutenant Colonel. In 1979, Abdullah was appointed chairman of Qatar Olympic Committee, and held this post until 1989. On 17 July 1989, he was named Minister of Interior. In addition to this post on 11 July 1995, he became Deputy Prime Minister. On 29 October 1996, he was appointed Prime Minister and continued to assume his interior portfolio until 2 January 2001. Throughout the years, he has been serving in different posts at the body. In a cabinet reshuffle in June 2013, he was named Prime Minister, replacing Hamad bin Jassim Al Thani in the post, and Minister Of Interior, succeeding Abdullah bin Khalid Al Thani. HE Sheikh Mohammed bin Abdulrahman Al Thani is the Minister of Foreign Affairs and Deputy Prime Minister. He was appointed Minister of Foreign Affairs in January 2016. He was the Director of Economic Affairs Supreme Council for Family Affairs from 2005 until 2009. In 2009, he was appointed Director of the Department of Public and Private Sectors Partnership at the Ministry of Business and Trade. In the same year, he launched Enterprise Qatar, an organisation that provides technical and financial support for small and medium-sized enterprises. His policy agenda is aimed at fostering economic diversification programmes through attracting foreign direct investments (FDIs) to Qatar, and through promoting entrepreneurial ventures to contribute to the country’s economic growth. In 2010, he served as the Secretary of the Personal Representative of the Emir HH Sheikh Hamad bin Khalifa Al Thani for Follow-up Affairs at the Emiri Diwan. In the same year, he became Deputy Chairman of the Board of Directors of Qatar Mining Company. In 2011, he became Chairman of the Executive Committee of the Development of Small and Medium-sized Enterprises and Chairman of the Board of Directors of Aspire – Katara Investment Company. He attained the rank of Undersecretary in 2012. In 2013, HE Sheikh Mohammed was appointed as the Assistant Foreign Minister for International Cooperation Affairs. His policies focused on promoting multilateral cooperation along with implementing the development and aid agenda of the State of Qatar. He currently serves as the Chairman of Qatar Fund for Development. In 2014, HE Sheikh Mohammed led the restructuring of Qatar Fund for Development and advocated targeting support to primary and secondary education, global health and economic development. HE Dr Khalid bin Mohammad Al Attiyah is the Minister of State for Defence Affairs, Deputy Prime Minister and member of the Council of Ministers. His father, Mohammad Al Attiyah, was the founder of the Qatar Armed Forces, where Dr Al Attiyah joined Qatar’s air force where he served from 1987 to 1995. He then left the air force and established a law firm in 1995. While running his law form, from 2003 to 2008, he served as the president of the National Human Rights Committee (NHRC). However, Dr Al Attiyah started his career as fighter pilot. He received a bachelor’s degree in air science from King Faisal Air Academy in 1987 and also, a law degree from Beirut Arab University in 1993. He holds a master’s degree in public law (1991) and a PhD in law (2006) both of which he received from Cairo University. From 2008 to 2011, he served as the Minister Of State For International Cooperation as well as serving as Acting Minister For Business And Trade. In 2009, he became a member of Silatech’s board of trustees, a member of the board of directors and chairman of the executive committee of Qatar Diar company, and a member of the board of directors of Qatar electricity and water company, Kahramaa. Dr Al Attiyah was first appointed Minister Of State For Foreign Affairs in a cabinet reshuffle in September 2011. In another cabinet reshuffle in June 2013, Dr Al Attiyah was reassigned as the Minister Of Foreign Affairs replacing the former Foreign Minister, Hamad bin Jassim Al Thani. Dr Al Sada is also a member of Qatar Permanent Constitution Preparation Committee, Supreme Education Council (SEC) and The National Committee for Human Rights. HE Dr Hanan Mohammed Al Kuwari is the Minister of Public Health. Prior to becoming the Minister of Public Health in 2016, HE Dr Al Kuwari was the Managing Director of Hamad Medical Corporation (HMC) – a role she held from 2007-2016. Under her leadership, HMC was transformed into an integrated academic health system and has achieved numerous international accreditations and awards. HE Dr Al Kuwari sits on numerous boards of health related organisations, locally and regionally, such as the JCI Middle East Advisory Council, the Association of Academic Health Centers International (AAHCI) Steering, Committee and the Institute of Global Health Innovation. HE Dr Al Kuwari was appointed as a board member of Sidra Medicine in 2016. She is also the Chairperson of the Board of Qatar Biobank, Ambassador for the AAHCI Regional Office in Qatar and an Advisory Board Member for the World Innovation Summit for Health (WISH). HE Dr Al Kuwari has a PhD in healthcare management from Brunel University in the UK. In 2014, she was named Business Woman of the Year at the Arabian Business Qatar Achievement Awards. Born in 1948, Sheikh Faisal bin Qassim Al Thani is one of the richest men in Qatar. Sheikh Faisal, who is a distant relative of HH The Emir, Sheikh Tamim is one of the most prominent Qatari businessmen, with a net worth of at least US$2.2 billion. The billionaire owns multiple businesses as well as Sheikh Faisal bin Qassim Al Thani Museum, which sits 14 miles west of Doha. The museum consists of 15 halls with more than 15,000 artefacts, including ancient religious books, artwork and vintage American cars. He is also the owner Al Faisal Holding, a Doha-based conglomerate that operates about 50 businesses in nine industries. In addition, Sheikh Faisal has assembled a collection of luxury hotels and commercial real estate properties in six countries, diversifying abroad, acquiring Four Seasons hotel in Cairo, Grand Hyatt in Berlin, Radisson Blu Aqua in Chicago, W Hotel in London’s Leicester Square and Miami’s St. Regis Bal Harbour Resort. He has eight more hotel properties under construction in the capital, part of a city-wide building boom ignited after it won the rights to host the 2022 FIFA World Cup™. One of Al Faisal’s largest subsidiaries is Aamal, a Doha-based manufacturing and real estate group listed on the Qatar stock exchange that had QAR2.12 billion (US$582 million) in revenue in 2013. Al Thani controls 66% of Aamal directly and through Al Faisal. Outside of Aamal, Al Thani controls other commercial real estate properties, including more than a dozen residential and office buildings and three hotels in Doha. Born in 1962, Akbar Al Baker is the CEO of Qatar Airways. He was recently appointed with the title His Excellency (HE) for having led Qatar Airways into one of the fastest growing airlines in the world, with over a 130 destinations worldwide in a period of 20 years. Al Baker also leads the development of the Hamad International Airport (HIA), which opened its phase one in May 2014. Al Baker became Chief Executive Officer of Qatar Airways in 1997. Prior to his appointment, he worked at the Civil Aviation Directorate of Qatar. He is also the former Chairman of the Qatar Tourism Authority (QTA). He is also CEO of several divisions of Qatar’s national airline including Qatar Executive, Qatar Airways Holidays, Qatar Aviation Services, Qatar Duty Free Company, Hamad International Airport, Internal Media Services, Qatar Distribution Company, Qatar Aircraft Catering Company and member of the Board of Governors of IATA (International Air Transport Association). Hassan Al Thawadi is Secretary-General of the Supreme Committee for Delivery and Legacy. He is a lawyer by profession with a degree in law from the University of Sheffield. In March 2011, he was appointed Secretary-General of the Supreme Committee for Delivery and Legacy, the organisation responsible for coordinating among public and private entities to ensure that infrastructure and development projects are delivered in readiness for the 2022 FIFA World Cup™. He is the Chief Executive Officer (CEO) of the Local Organising Committee of 2022 FIFA World Cup™; Legal Adviser to the CEO of QIA; and Special Adviser, FIFA’s World Cup Organising Committee. Formerly, he was the General Counsel of Qatar Investment Authority (QIA) and Qatar Holding; and CEO of Qatar’s 2022 Bid Committee, working closely with Bid Chairman, HE Sheikh Mohammed bin Hamad Al Thani; and was a member of the Board at national stakeholders of the Supreme Committee for Delivery and Legacy concerned with delivering the 2022 FIFA World Cup™, including Katara Hospitality and Qatari Diar; Qatar University College of Business and Economics, Qatar Chamber for Commerce and Industry, Qatar International Islamic Bank, Msheireb Properties and Hassad Foods. His, Her, or Your Highness is a title of honour and form of address for royalty especially for a prince or princess. His, Her, or Your Excellency is a title of honour and form of address for certain high officials, such as viceroys, ambassadors, and governors. *Sheikh/Sheikha: Also spelled Sheik/Sheika, Shayk/Shaikh, Shaikha, Shekh/Shekha, or Shaykh/Shaykha — is an honourific title in the Arabic language that literally means ‘elder’ and carries the meaning ‘leader and/or governor’. Marhaba Went on a Cruise!